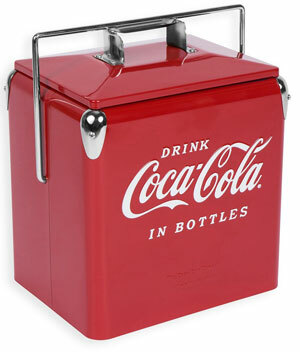 Whether you’re a collector looking for his next big find or simply a guy wanting a unique addition to his office or man cave, you can’t go wrong with a vintage Coca-Cola Cooler. These coolers are clad in that signature red color and feature unique designs and artwork that are reminiscent of the old-school Coca-Cola. The beverage company has an illustrious history. However, nothing compares to its vintage art-style and familiar branding. Beyond the unique aesthetic faithful to the renowned brand, these coolers serve an important function. They keep your drinks cool and readily available for the taking. Some feature technology to cool down beverages to the perfect drinking temperature while others are great for on-the-go refreshments. Here are 3 vintage Coca-Cola coolers perfect for any fan. If you’re looking for something with distinct retro flair, this cooler is a great option. 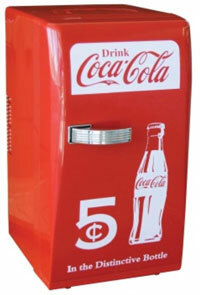 It’s covered in bright red and features white accents that resemble a vintage Coca-Cola ad. This slogan was used by Coca-Cola back in 1924, making this unit is an homage to a distinct time in the company’s history. This is even more apparent with signage displaying an advertised price of 5 cents on the front. The unit acts as a small refrigerator. It has a swinging door that opens with a simple pull of the flashy chrome handle. Inside, the door has storage compartments to house any small items that need cooling. In total, the cooler has 22 liters of capacity. Adjustable shelves inside the cooler allow you to organize drinks whichever way you want. The unit can hold standard cans or bottled drinks based on the configuration. The cooler uses the unique thermoelectric cooling system to chill drinks. It can bring down the temperature of beverages by 36 degrees Fahrenheit. A small fan on the rear of the unit helps lower the temperature in a quiet and discreet manner. Overall, the unit is light and portable. 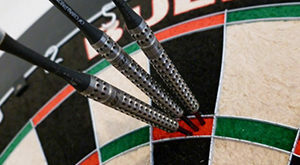 It measures roughly 10.8 by 13.5 by 19.2 inches in size and weighs only 12.6 pounds. A hidden handle on the top pops up for easy transport. It’s a handy and attractive little cooler that will fit right into any fan’s collection. 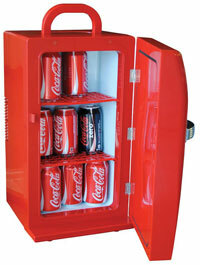 This cooler is great for collectors of all things Coca-Cola. It’s branded with the familiar logo and is built with vintage craftsmanship in mind. It’s an exact replica of the Junior model of Temprite and Action coolers of the past. These coolers were sold throughout the 40’s and 50’s. Back then, the popular beverage was sold in attractive glass bottles, so the cooler was made to accommodate them. This replica is no different. 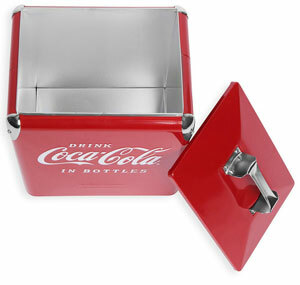 It can hold a six pack of Coca-Cola comfortably, measuring roughly 14 inches high by 9 inches wide by 11.5 inches deep. It’s completely insulated to keep the drinks cool throughout the day. The body of the cooler is comprised of durable steel and aluminum. The steel outer shell is covered in scratch-resistant powder coating. This durable coating keeps the entire unit free from damage. It’s completely non-toxic, safe to use, and free from harmful lead. The vibrant red coating also keeps the metal cooler free from rust. Chrome accents adorn the red steel box for vintage appeal. Chrome is used on the corner top edges to keep the unit safe and strong. The handle is also made from chrome. The cooler has a removable top portion. To keep everything in one piece, the cooler has a locking bar. The bar simply flips up and locks into the groove of the handle. The lid stays shut and secure during transport. As an added touch, the cooler also has a chrome bottle opener located on the side for easy access. All in all, this cooler is perfect for collectors and fans alike. Whether you plan on using it on your next big trip or simply as a piece of decor, it’s unmistakably Coca-Cola. The attractive build and prominent colors create a sense of nostalgia for anyone who sees it. From Koolatron is this unique cooler and vending machine. Unlike the previous option that simply kept drinks cool through insulation, this unit acts as a miniature refrigerator. Despite this, the unit is compact and portable for use virtually anywhere. It can be a permanent fixture in a man cave or brought on the go. It measures approximately 17.5 by 10.5 by 26.5 inches. It’s designed to hold 12-ounce cans of soda. It can hold up to 10 cans. The entire body of the unit is clad in that signature red color with accents of chrome and white. The Coca-Cola logo is emblazoned on the front upper portion. To make selection a breeze, the front door has a large window. It displays up to 5 selections. The unique thing about this cooler is that it’s a fully operational vending machine. Next to each selection is a chrome button. Upon pressing, the selected drink falls down to dispense at a lower compartment. Guests can make their selection and take the drink from the open compartment below much like they would with a vintage machine. To restock, a simple chrome lever is placed on the front of the unit. It allows full access to all 10 cans in the cooler. The cooler lowers the temperature of the drinks by 32 degrees compared to the surrounding ambient air. This makes drinks just the right temperature for optimal enjoyment. It does so by using a thermoelectric cooling system. This system is efficient but very quiet. There’s no vibrations or loud noises. Instead, it’s a functional work of art. It runs on 110-volt AC for use inside the home or on 12-volt DC for use in campers, boats, and cars. It’s a great cooler that’s stylish and provides a unique user experience.